Ms. Mangum believes that in a legal system designed by attorneys for attorneys and governed by attorneys left her cries for justice ignored and unanswered. 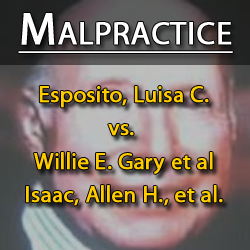 She still works tirelessly in her pursuit of justice to bring Coca-Cola and Willie Gary and his law firm to justice. She hopes to bring about public awareness of the corruption in our judicial system and to prevent others from becoming victims of Willie Gary as well as the Coca-Cola Company. 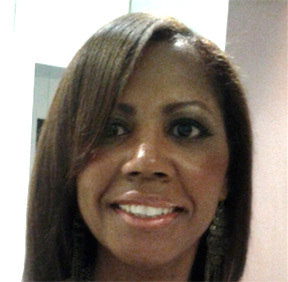 Sharron Mangum was employed with The Coca-Cola Company from February 1994 up until her subsequent wrongful termination in March 2003. The details of Ms. Mangum's ordeal are outlined in her Demand Letter and Lien Notice to Coca-Cola of April 1, 2014. Ms. Mangum made several attempts to hold Coca-Cola and its co-conspirators accountable through the Northern District Court of Georgia and the judges involved in the case, World News Tonight, 60 Minutes, the FBI and the US Attorney's Office in Atlanta, Georgia; however, her cries for justice went unanswered. 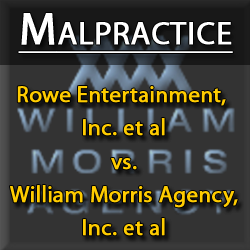 Sharron Mangum engaged Willie E. Gary and his law firm as her legal representation against The Coca-Cola Company in March 2001. 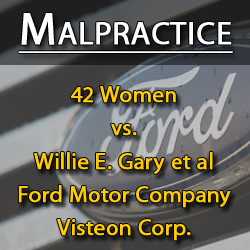 The details of Ms. Mangum's ordeal with Willie E. Gary and subordinate attorneys in his firm are outlined in her Demand Letter and Lien Notice to Mr. Gary of April 21, 2014 and in her Florida Bar Complaint. 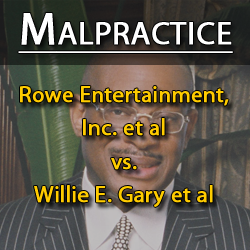 Ms. Mangum made several attempts to hold Willie E. Gary and his co-conspirators accountable through the Northern District Court of Georgia, World News Tonight, 60 Minutes, the FBI and the US Attorney's Office in Atlanta, Georgia; however, her cries for justice went unanswered. 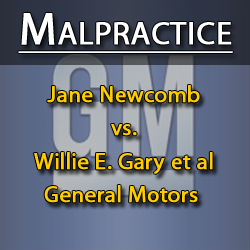 Mr. Gary is also accused of other womanly transgressions. 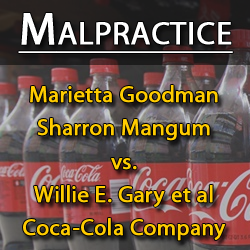 Former Gary client in a discrimination case against Coca-Cola, Sharron Mangum alleges that on several occasions Gary tried to persuade her to enter into an intimate act with him. She states that after one particular meeting with him, "Willie was all over me — groping and fondling my breasts." If Gary's conduct was not already insulting enough, the idea of him participating in her termination from Coca-Cola and cheating her and other Coca-Cola racial discrimination victims out of settlement awards is "inflaming." Did Gary Receive Money From Coca-Cola to Compensate Coke's Victims?